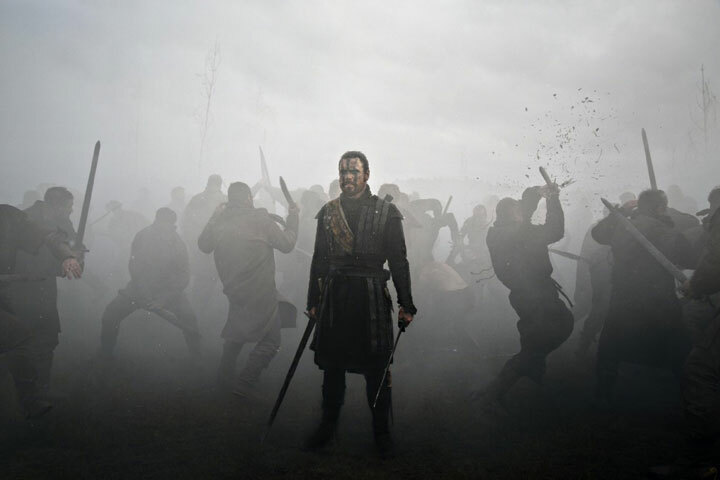 Justin Kurzel's Macbeth is an epic, wind-swept, rain-soaked, blood-drenched reworking of Shakespeare's famous Scottish play. With its tortured monologues and formal, almost Kabuki-like staging, Macbeth is incredibly theatrical, yet also wonderfully filmic, not just thanks to its sweeping Scottish scenery, bloody battle clashes and arty use of slo-mo, but also to its moments of deep intimacy, particularly Lady Macbeth's well-known 'out damned spot' speech, captured in one, long, heart-wrenching close up, or the extraordinary climax between Macbeth and his nemesis, Macduff (Sean Harris, on top anguished form as ever). Kurzel's Snowtown (a downbeat, docu-style portrait of an Australian serial killing family) is one of the most depressing films I've ever seen, and Macbeth is no bundle of laughs either. Anything approaching humour in the play (the comedy gatekeeper; the more over-wrought witch scenes) are firmly exorcised, focussing all our attention on the killer king and his accomplice wife, as their ambition, bravado and determination slowly crumble into regret and madness. The whole cast is great (despite the odd wobbly accent – none of the central characters are played by Scots, although some of the actors in the smaller parts sound as if they were scooped up from the streets of Glasgow by Scarlett Johanssen in her van). The Fassbender makes the grizzled warlord's descent into violence and paranoia utterly credible – his final scenes as he awaits his doom in Dunsinane Castle, restlessly pacing the flagstones or slumped in his ill-gotten throne, are reminiscent of Al Pacino in Scarface. 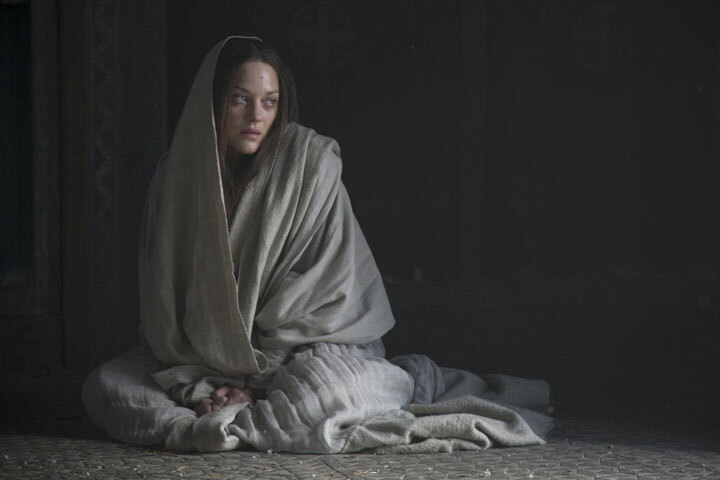 Marion Cotillard in particular is fantastic – if I were an X Factor judge I'd say she OWNS Lady Macbeth – and her faltering faith in her husband, her plans and her own sanity is really quite moving. Bloody, bold and resolute, beautifully shot and superbly lit (I don't think I've ever noticed such stunning lighting before), and costumed with the savage beauty of an Alexander McQueen show, Macbeth is really quite a triumph – albeit one that leaves a sad, bitter taste in the mouth.